In an interview with LGBT blog Queerty, racing legend Hurley Haywood says he decided to come out gay at 69 to help troubled teens. 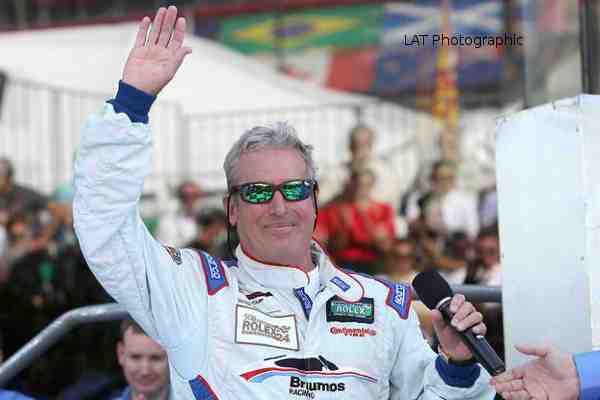 Haywood has won multiple events, including five titles at the Rolex 24 at Daytona, three at the 24 Hours of Le Mans and two at the 12 Hours of Sebring. He talked about his sexuality for the first time publicly in his 2018 memoir Hurley: From the Beginning. A documentary, titled Hurley, arrives on VOD on Monday. Now 70, Haywood told Queerty that he did not consider coming out earlier because he worried about how his fans would react. On coming out, Haywood said that he decided to come out gay to help troubled teens. Haywood said that he advised the young man to be true to himself. “And we talked about a couple of places where he could go to get some support. He left with a really good attitude, and I never heard a word from him. Two years later I got a call from his mother. I had this sinking feeling that she was calling to tell me he had committed suicide. And she said, 'I just want you to know what you told my son saved his life.' That coming from a mother is pretty heavy stuff. And I thought if my voice is strong enough to save one kid, maybe we can save two, or ten. Every 40 seconds an American commits suicide. Think about that a minute,” Haywood said. Hurley arrives on VOD March 25.